Search engines and SEO continue to change on a daily basis. In order for someone to understand how Google works in depth, they must dedicate their time and effort. The solution to making a website successful within these search engines requires energy, knowledge and time. When those three components are involved one will get the outcome of a successful Google friendly website. A majority of people would find this process stressful and overly time consuming. Knack is able to take away the pressure from you in order to help create the most successful search results from various engines. This allows you to improve the rankings and visibility of your website. SEO services NYC can be a very strong marketing tool for your company and guarantee successful results. When you choose to work with the best – we aim to deliver efficient and significant improvements. SEO is the process in which an organic ranking of a website is improved in all search engines. All businesses see great results when they incorporate an SEO company with a high expertise level and a strong understanding of what the process entails. Knack is here to help in the modification of websites in order to reflect exactly what the search engines need. Search engine optimization services NYC is able to increase your rank in the search engines as well as optimize traffic to the website for that particular company. Knack has a very strong copywriting team and a technical staff that focuses on meeting all of our clients needs, no matter how complex their websites are. In these competitive industries we can offer the best help to help improve any company. Knack is also able to handle link-building services NYC to make it possible for your company to get an even wider audience than you would have anticipated initially. This is where you can get advanced Internet marketing strategies that give you long-term results. There are experts who can handle SEO and give great results. Link building services New York allows you to grow in a tremendous way and add traffic to your site. 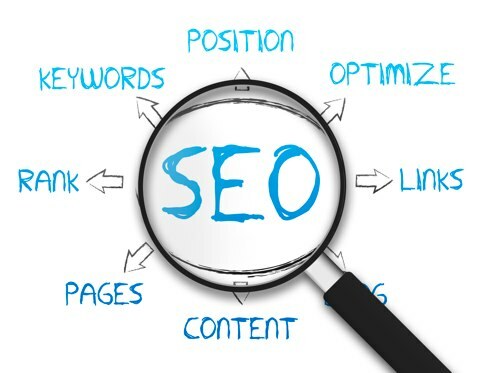 There are different services that are offered and they include off page optimization skills such as content writing, social bookmarking, social network marketing, press releases and submissions, article writing, both reciprocal and one way link building, SEO research and directory and search engine submissions. Usually it all begins with a review that is very thorough as well as an analysis of the website of the client. This helps in the identification of areas that may have issues that need to be addressed. In this technology driven generation, SEO has been applied in order to boost the visibility of websites once a search has been placed. Today, new tactics are being applied in order to outlast trends to help in the creation of a brand and to help the customers find what they want as soon as possible. 1 )The first concept is the expertise level. Knack NY is able to cover all aspects that are search related. This starts from the consumer understanding to the technical analysis and development of a high strategy level for link building services and content creation. 2 )Breadth: Knack works with social, content and offline assets, and this allows your brand to have the impact and relevance, which the customers and the search engines will immediately notice. SEO services NYC can come in handy for anyone who wants to make it really big in the business world. 3 )Intelligence: Knack innovates constantly in order to always remain relevant. You will always have access to fresh strategies that allow you to consistently be ahead of the technical updates and trends. 4 )Trust: people do the searches, not computers. If the people aren’t happy, then the results won’t be as meaningful. Search engine optimization services NYC from Knack ensures that the customers are always happy at all times. If you need to generate greater leads and increase the number of visitors coming to your website but aren’t so sure about what to do with digital marketing and SEO, Knack is ready to help. Link building services NYC may be the only answer that can really help. You need to consider a link building strategy that can really help to provide ethical, high quality and worthwhile links to increase rankings and to drive the visitor traffic. If you want to build your own business website and be out there without losing money while you are at it, then Knack is the best company for you to get the wide variety of services that you need. Our team includes experts in SEO, web design, business analysis and social marketing ready to help. SEO services New York can’t get any better than this. Knack can deal with all of your needs for page optimization such as keyword analysis and research, Meta tag optimization, anchor tag optimization, PPC campaigns, analytics reporting, Yahoo, Google and MSN webmaster set up, HTML sitemap setup and many others.